Brisbane city itself for day six. The day was a lovely one, sun was shining and the wind was blowing slightly, but more importantly there was none of the humidity in the air that usually lingers in these parts. We grabbed my mother and headed into Brisbane to drop off the rental car and also to shop. If only it were that easy. Brisbane! Well there ya go. We flew in yesterday and nearly gave my dear ole ma a heart attack. No announcement that we were coming, we just rocked up, knocked on the door and settled in - as you do. We're here until Sunday, then back to the drudgery of life as we know it. I'll need some serious rest from this extended holiday. Marshall Rogers' rendition of Batman is up there in my top five, if not my top two. 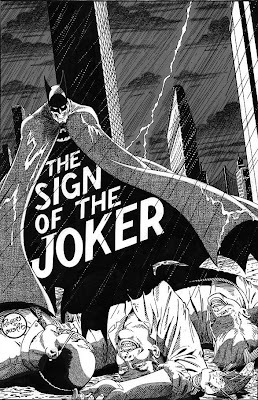 I grew up here reading Marshall's Batman (reprints in glorious black and white) and his art was amongst the first to absolutely blow me away with the detail and the cleanness of line work. Marshall Rogers and inker Terry Austin were one of those all too few perfect art teams and as I once told Terry himself, I've always thought that the art of Rogers and Austin was head and shoulders above anything else - including Byrne and Austin. If Marshall and Terry had drawn the X-Men back in the day then John Byrne would be remembered as being an above average artist. It's easy to spot Rogers influence in artists these days and I'd hazard a guess and say that he was just as influential on the generation of arists that followed him as Neal Adams was on the generation before. I had no time at all to write this entry last night as I was just too shagged out. I did write an entry this morning but it appears to have vanished somewhere into the on-line breeze.